A key finding of the Texas AWE project is that the low price of raw water reduces the financial incentive to invest in tried and true, but often expensive, on-farm irrigation technologies. The research at Texas AWE has focused on finding readily achievable ways of conserving water on-farm. These methods involve modifying current practices rather than promoting completely new ways of irrigating. Surge irrigation is a water-saving alternative to furrow flood irrigation. Surge irrigation uses valves at regular intervals in the irrigation line to divert water flow first in one direction, then the other, directing water into only half the furrows at one time. Substantial savings have been recorded on water use, labor, and fertilizer. Also, a reduction in sediment loss. 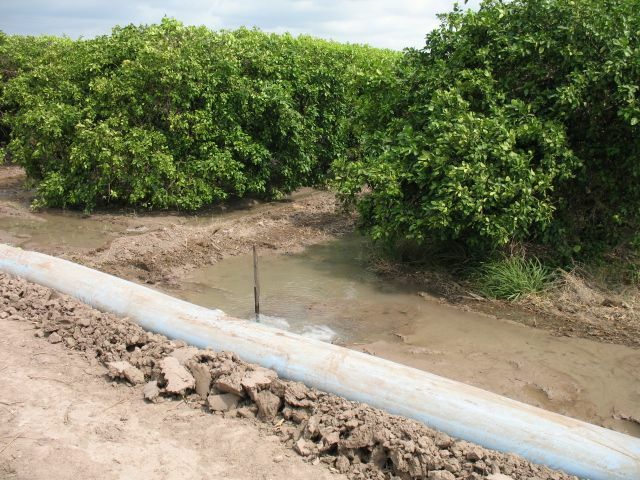 In the Lower Rio Grande Valley, Texas AWE has proven that “narrow border flood” (NBF) irrigation for citrus uses half as much water as traditional “large-pan flood” irrigation while producing more than double the amount of Net Cash Farm Income. NBF can produce similar results in other laser-leveled orchards and nut groves. These methods were developed with you in mind. Watch our videos to learn more about the benefits of improved irrigation methods and how to use them on your farm. Our fact sheets are easy-to-read and explain everything you need to produce what you love with higher profits! Hands-on training in low-cost, efficient irrigation techniques is available at the project's Rio Grande Center for Ag Water Efficiency. 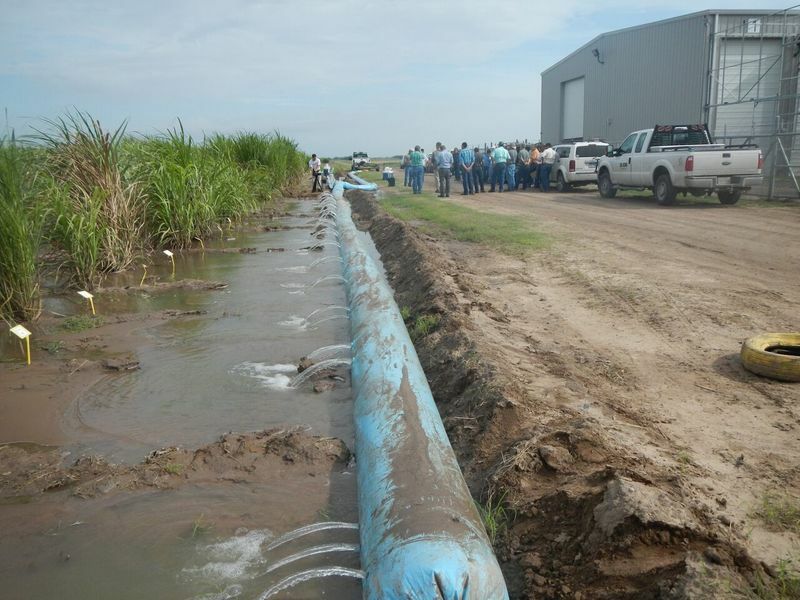 The Harlingen Irrigation District (HID) maintains the Center for Ag Water Efficiency located next to the river pumping plant. This is a state of the art facility is designed for training district personnel and growers in the latest technologies available for water conservation. This facility is also used for calibration and testing of irrigation flow meters. The center contains a classroom with the ability to seat 25-30 students and is available to the public for conservation and water related functions. Please contact HID for information on the Rio Grande Center for Ag Water Efficiency. Here's the actual findings from years of research. Explore the irrigation methods of furrow, drip, narrow border, and surge. Also the increased Net Farm Cash Income (NCFI) and pricing metrics with the modified irrigation techniques on specific crops.